As you've already figured out, DuckDice community now has a unique place to talk - our Forum. At the time it's a bit raw but already friendly and comfortable to talk about everything you want! We're also looking for your ideas for the improvements which you can share on Ideas board. Except a good talk you may find on Forum various contests and challenges which may provide you with a lot of fun and some extra coins. Follow the Contests and Challenges board - the first contest starts soon! We struggle to make the best autobbeting ever! And we are glad to present you some major updates. You may find new switchers and stoppers which can affect your session if balance is lower or greater than the shown number and switch HIGH/LOW mode. We've also made our autobetting faster even on inactive tabs providing one of the best bet placing speed. We released two new awards! 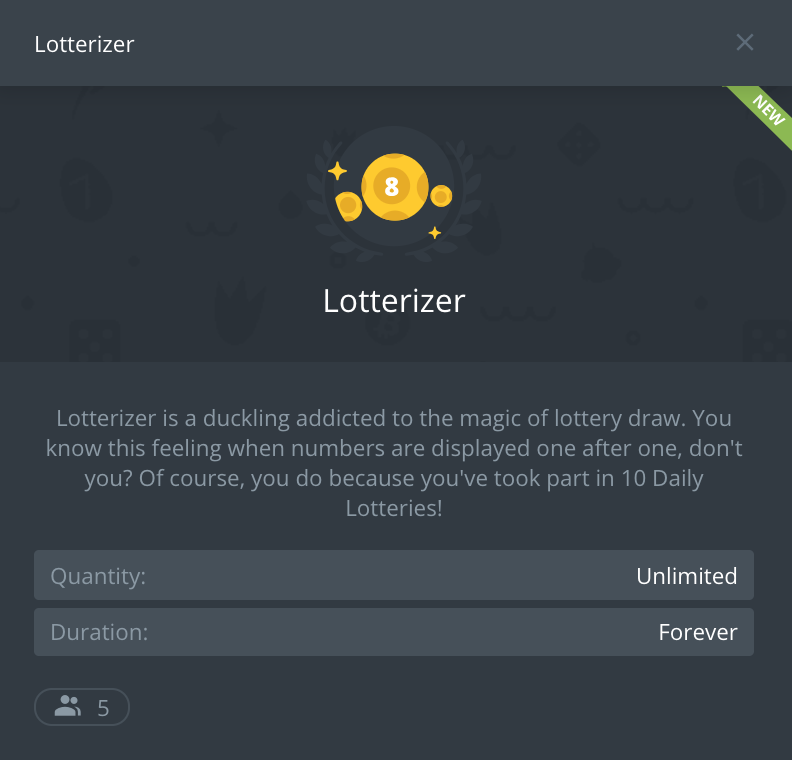 At first, the Lotterizer award for those duckings who love our Daily Lottery! If you frequently take part in lotteries you may get it. The next one is Raining Duck for ducklings who like to share. If you believe that sharing is caring and start rains frequently to spread some coins among your friends you will become a Raining Duck easy. Talking about rains, the next two weeks you may get in mixed coins! Yes, you will never know which currency is used until the snowfall starts.